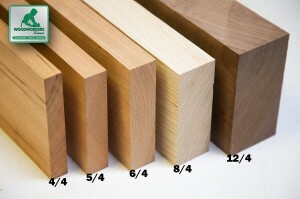 Red Oak lumber comes in random widths and lengths, with a uniform thickness. Surfaced 2 sides (S2S) from rough sawn lumber. The most widely used hardwood in North America is Red Oak. 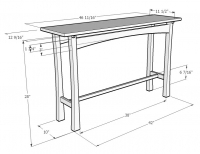 You'll see it in fine cabinetry, furniture, flooring, and numerous household fixtures and accessories. 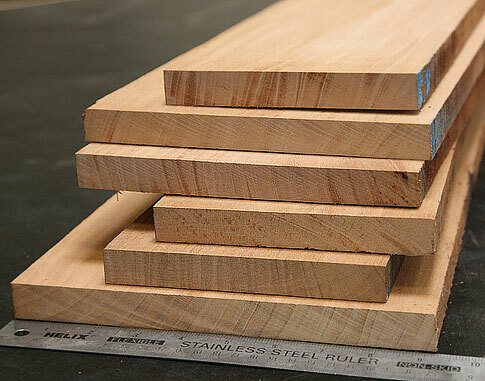 Red Oak is plentiful, great to work with, yet hard and durable enough for rigid furniture and other finished projects. The piece of wood was perfect. It was just what I asked for. The piece was straight and flat without any knots. I will order from them again. Received the wood pretty fast but issues with tracking it via the web site wasn't updated. Received more wood than I ordered but was not planned on one edge as requested but they added more wood to offset cost okay unless you don't have a planner. Quality of the wood. fair of the wood was cupped would have thought with someone hand picking it out would have been better. I ordered this woo because the add stated they had a 4" to 10" variety of boards. Since I could use several different sizes I didn't request any certain size. I expected to receive a variety of sizes but instead I received 17 boards all under 5" Make sure you state exactly the size you want or you will get what they want to get rid of first. I wrote and complained but I never even got a reply. So much for 100% guarantee.